Since mobility and independence are key to aging in place, that ability to take your wheelchair on the go is also vital. 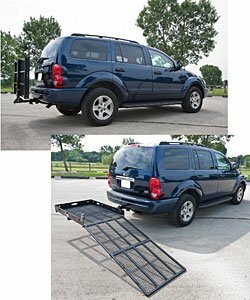 If you’re a senior in need of assistance getting in and out of your vehicle, wheelchair ramps for SUVs and vans can help turn an arduous task into a tangible one. Below, you’ll find our recommendations for the best wheelchair ramps for vans so that you can get in and out of your vehicle quickly and safely. 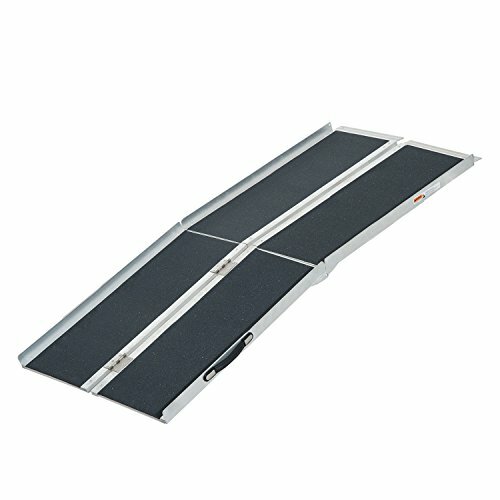 If you’re a senior or caretaker looking for a wheelchair ramp for minivans, this model should be one of the first you consider. Seniors will appreciate the non-slip grip tape that covers the ramp surface, which helps improve traction as they are moving up and down the ramp. They’ll also appreciate the sides of the ramp, which act as “bumper curbs” to ensure they do not fall over the edge. Seniors will also likely find this unit attractive because of its anti-corrosive aluminum alloy. This means that seniors won’t have to worry about the ramp not supporting them because it has begun to rust. Seniors may struggle with the weight of the ramp. 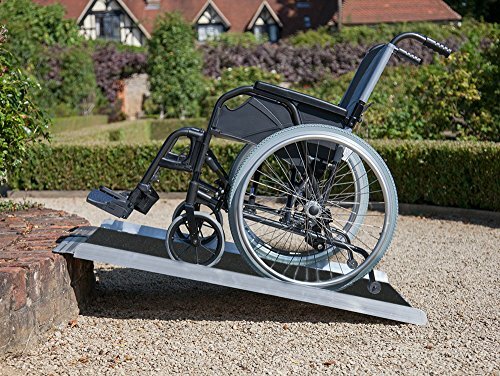 Weighing more than 30 pounds, it is heavier than other wheelchair ramps for cars and may require assistance in transport. The ramp does fold in half, which is an attractive feature, and comes with a handle for easier maneuverability. COMPACT: Folds to 16" wide by 3" high for portability in cars or to store away when not in use. This ramp is ideal for minivans and low-level entry vehicles, as it covers roughly a two step height. It comes with a high-traction surface and seniors will likely appreciate the wide surface this ramp provides, as it will make it easy for them to ride up and down the slope without having to worry about falling off. Although this ramp only weighs 16 pounds, seniors may find it awkward to carry because it folds length-wise, but it does come with a handle for easier carrying. This rack could be ideal for seniors with electric wheelchairs. The ramp hitches to a trailer; once the wheelchair has been steered up the ramp and secured, seniors can sit inside the vehicle while their wheelchair is on the back. However, users should be careful not to drive the wheelchair up the ramp, which means they could need assistance from a caregiver during the process. You’ll also want to ensure the car being used with the ramp has the proper trailer hitch. This ramp is sturdy and durable, thus on the heavy side—thus not ideal to attach and unattached on a whim. If you have never shopped for a wheelchair ramp before, it could be difficult trying to determine which features are most critical. Below, we’ve listed some of the criteria we believe you should consider when making your purchase. While each situation is different, these criteria should serve as an excellent starting point to help narrow your buying options. Does the Senior Have Assistance? If a senior in a wheelchair has assistance with a ramp, their buying options increase tremendously. They will not have to worry about purchasing a ramp that folds into the car or van automatically. By having someone else who can take care of the ramp and fold it, seniors merely need to worry about getting in and out of the vehicle. Similarly, another factor that customers will want to consider is the weight of the ramp. Ramps can range in weight considerably. For example, two options on the list above, which are both compact and foldable, weigh about 15 and 30 pounds. Whether it’s loved ones or staff at an assisted-care facility, customers will want to make sure they can lift and maneuver the ramp. Another critical option is the type of vehicle in which the senior will travel. For example, if you elect for a foldable ramp, you must ensure that you have room in your car to store it. Additionally, you’ll also need to make sure that there is room in the vehicle to secure the senior passenger in their wheelchair during travel. You may also come across ramps that attach to the back of a car. These ramps are best intended for power wheelchairs. Seniors will want to ensure that they can sit in a seat in the car comfortably since their wheelchair will be outside the vehicle in the open air. Additionally, drivers will want to make sure that their car has the appropriate trailer hitch for the ramp. Lastly, seniors will want to consider the height of the vehicle into which they’re onboarding. If the ramp is too short and the vehicle height is too high, it will be difficult for seniors to wheel themselves up the ramp. Similarly, when offloading from the vehicle, they could gain too much momentum, which would cause them to lose control of their wheelchair. As a rule of thumb, ramps should have a grade of three to four inches for every foot of the slope. This means that a ramp measuring five to six feet long should provide seniors with enough of a gradual incline to move up and down the ramp quickly and safely. Customers should measure the height of their vehicle’s entrance before purchasing their ramp. If purchasing out of pocket, customers can expect to pay at least $150 for a wheelchair ramp. Prices tend to go up from there depending on the model and its intended use. Seniors may be able to look into alternative payment options, such as Medicare and Medicaid. However, they must also make sure that these programs will cover ramps purchased from third-party vendors, such as Amazon. One of the last things to consider when purchasing a wheelchair ramp is the safety features it includes. Many of today’s ramps come with features such as traction grips and high sides to prevent seniors from accidentally falling over the side. This can give seniors peace of mind knowing that they will be safe, no matter what the conditions. If you’re a senior looking for wheelchair ramps for cars, you could easily be overwhelmed by the plethora of options available. When making your purchase, you’ll want to consider essential criteria such as the type of wheelchair you own and the type of vehicle in which you’ll be traveling. We believe the three wheelchair ramps for cars listed above should fit the needs of most seniors.